America has a ticket again to get back on the grid with a new F1 team, and an official press conference is scheduled from Charlotte, NC on Monday the 14th – stay tuned! 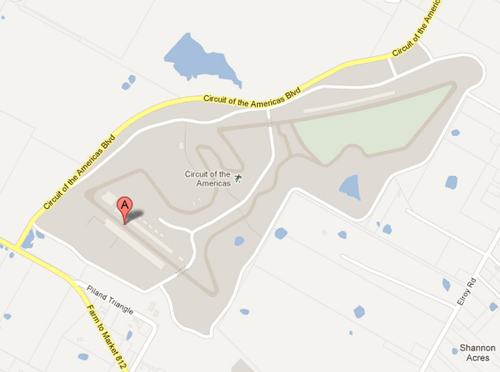 Update: You can follow the live press conference on Monday at 11am EST here for Q&A with Gene Haas. 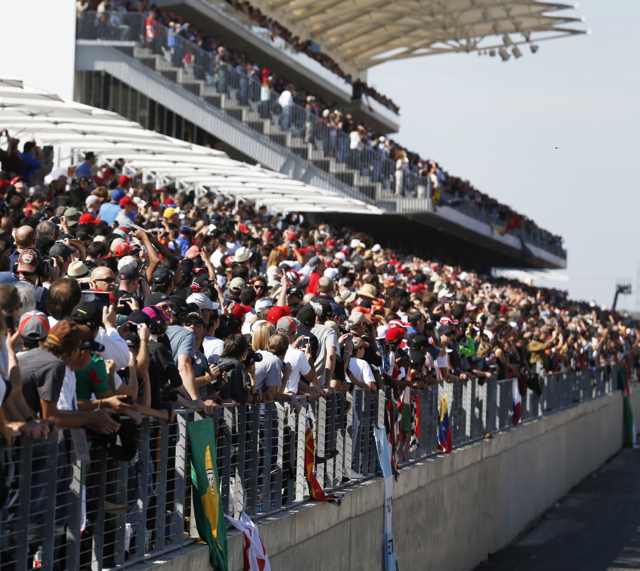 After their first year together, Austin and Circuit of The Americas are ready to create a brand new season of F1 racing, events and experiences for fans from around the world. 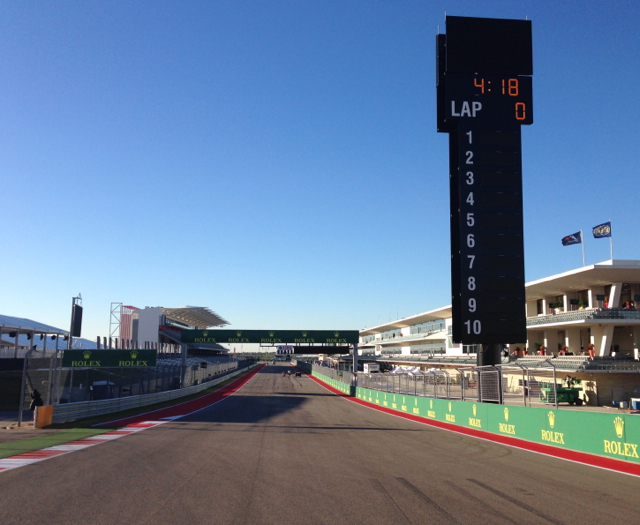 To get a feel for what was different this year from last, a walk around the town and then the track yesterday left the distinct impression that this year is different, especially in Austin, a city that’s no stranger to world class events, and this year, no stranger to Formula 1. The amount of signage around the airport has been reduced, but in town, buses, lamp posts and billboards remind you that F1 is still everywhere. 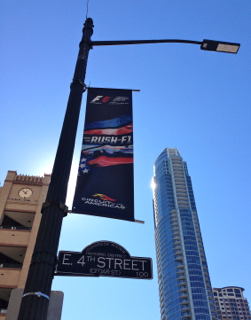 Downtown Austin is transforming with a sense of urgency and after a year of racing with over 1,000,000 guests at COTA and counting, F1 fans will again see the Austin Fan Fest arrive. Larger than last year, the event will now include a dozen square blocks set aside for visitors between 2nd and 5th just West of Congress. 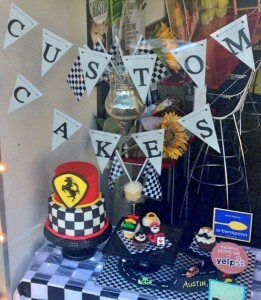 Importantly, local businesses have embraced the racing community, and this year there are more shops and stores showing they are ready for the world stage as fans arrive from across the globe to discover what Austin has to offer. Evenings will be full of events with entire nightclubs in town that have made the trip to Austin for the weekend hosting drivers, celebrities and VIPs. New to Austin this year, Amber Lounge will be celebrating their 10th anniversary as a nightspot along F1’s most glamorous races with dancing and DJs all weekend, while the W Austin and Red Bull will be putting together events for the circuit’s official after party on Sunday with drinks like the newly christened COTA Flame featuring locally made spirits with a kick. These are just a sampling of events Austin has in store this weekend, and back at the main event, Circuit of The Americas looks and feels like a new experience altogether. Gone are the signs of a hasty retreat by heavy equipment and artificial grass on hillsides as the circuit now stands proud on the horizon in the distance with real grass throughout the infield and spectator areas. Having the seasoning and polish an entire year’s worth of improvement and events to showcase the vision behind COTA, the circuit truly is the racing circuit of the future, bringing the world together again for a weekend of world-class racing. 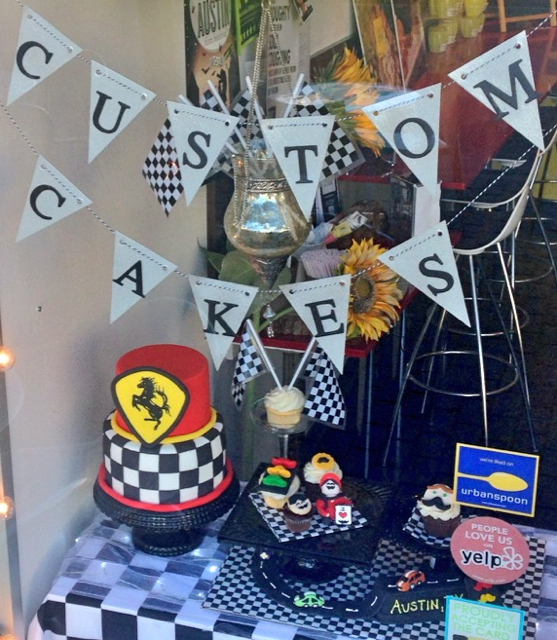 Here’s to wonderful Grand Prix weekend in Austin. For a self-guided tour of what’s been created on the track, you can take a look around COTA turn by turn with Google Maps to see what a driver’s office view looks like, and for a look at what’s happening around town, F1 Racing Magazine’s Fan Guide is downloadable (.pdf) from the American Statesman.